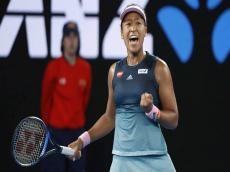 Naomi Osaka claimed back-to-back Grand Slam titles as she added the Australian Open to her US Open crown with a dramatic three-set victory against Petra Kvitova, according to SkySports. The 21-year-old from Japan recovered from a dramatic second-set collapse to defeat Kvitova 7-6 (7-2) 5-7 6-4 victory on Rod Laver Arena to ascend to the throne as the new queen of tennis. Osaka win stopped the run of eight different consecutive Grand Slam title winners as the 21-year-old became the youngest woman since Caroline Wozniacki in 2010 to be ranked No 1 in the world.